Until I moved up north, the edible pumpkin was not at all on my radar. In Chicago, the effort to procure, lug home, and carve or just front-stoop a pumpkin happened infrequently. I remember pumpkin-ing in the first year or so after I moved there, then not again. Big pumpkins would wave from their little city corners, and I’d wave back–and keep on going. Here though there is every sort of pumpkin you could imagine, piled up on farms dotting the north country all over the place. The “pie pumpkins” caught my eye and I couldn’t resist bringing them into the kitchen and getting reacquainted. The main reason I ever wanted a pumpkin, even way back in the day when carving and costumes were considered for weeks on end, was for the seeds. Like toasted nuts, and toasted anything, toasted pumpkin seeds are one of life’s great seasonal pleasures. Homemade toasted seeds have nothing to do with the heavily salted bags of pumpkin seeds you can buy in the gas station commissary; they’re a whole different story of delicious. So we get double delight out of our pie pumpkins. The seeds and the beautiful flesh are like so many things up here: they make me take notice, and instead of passing by, busily thinking “maybe next year,” I bring them home right now. 8 Responses to "Ingredient: Pumpkins"
Gotta love the “Vegetable Orbs,” paraphrasing the old Saturday Night Crew. Having spent years raising pumpkins, the “pie” pumpkin name is more of a selling technique than an actual difference in the pumpkins. 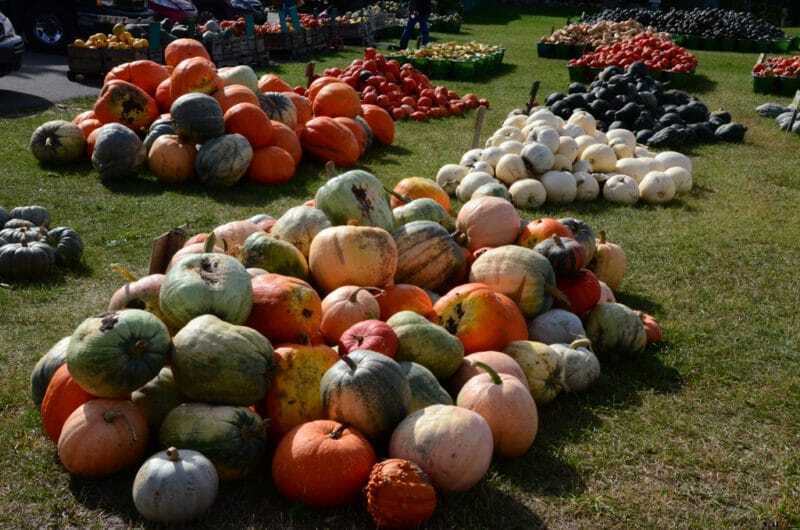 Nearly all “orange” pumpkins have been hybridized for looks rather than for eating. The better eating pumpkins tend to be tan colored and are sometimes referred to as “cow” or “buckskin” pumpkins. The flesh is orange but not the skin and they are sort of shaped like a huge acorn squash that won’t set up on end. They also aren’t hollow as that would be a waste when the goal is flesh. They are hard to find because the seller has to convince the buyer that a pumpkin doesn’t have to be orange. Or an even better option is to use a sweet winter squash such as a butternut which is bred to eat. This isn’t to say you can’t eat any pumpkin, but there really isn’t much money in raising pumpkins that have been bred to eat to the public because that isn’t why the public buys pumpkins. If they want to eat pumpkin they tend to buy a can where they don’t have a clue what the skin looked like. Demand creates supply. And fresh demand is for perfect pumpkins with deep color which is what geneticists then breed for. For the canning trade they also breed pumpkins that are hard and solid so can be machine picked and have a deep orange flesh and sweet flavor. Those are the ones I would recommend for cooking. This is a beautiful day. Roger, I have been thinking about what you wrote and want to tell you that I am glad you were inspired to share what you have. I am intrigued by these pumpkins you share. I Google images ‘cow pumpkin’ and was laughing at what came up. I found one actual photo. Then I searched ‘buckskin’ and found a few actual pictures. 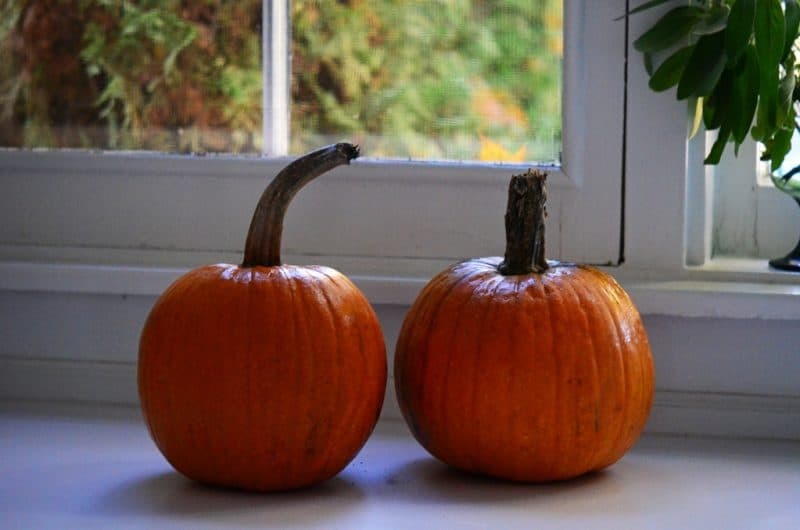 I would like to get some seeds for these kinds of pumpkins. Any suggestions? I found one site that has “Buckskin Pumpkins Sugar Pie”. From the color of them, they are not the bright orange “Sugar Pie Pumpkins” that I have bought and eaten. I love winter squashes of all kinds and am glad to have expanded my awareness. There is a wonder-full children’s book titled: “Pumpkin,Pumpkin”. Recommended reading for anyone who loves pumpkins and growing them. I spent some time looking and haven’t found a noncommercial place to buy the traditional buckskin pumpkins and I doubt if you want 5 lb or more seed. I did find there is a new hybrid “Autumn Buckskin” which I’ve never tried. This is the “catch 22”. Because home gardeners don’t buy cooking pumpkins, home garden catalogs don’t sell them, and because they don’t sell them home gardeners can’t try them. As one of the people said the texture of a display pumpkin is not what people are used to. 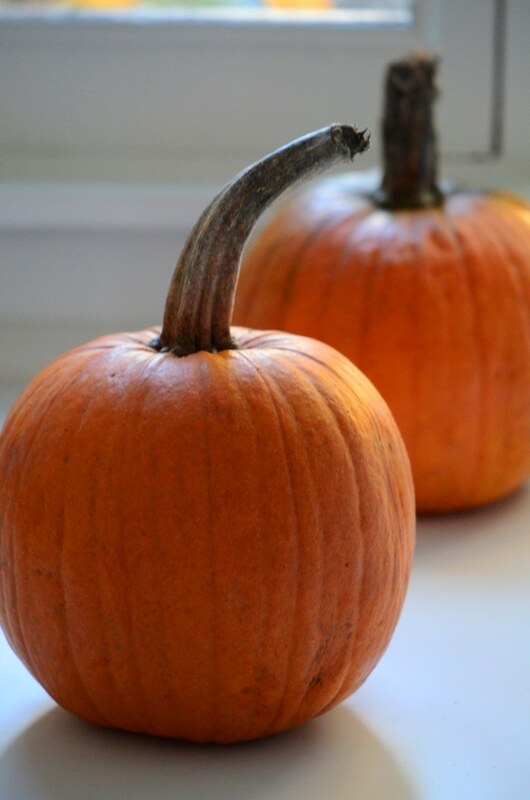 Display pumpkins are designed to hold up and are made stringy in order to do that. I will continue to look for a place for home gardeners to buy cooking pumpkins. I would still recommend a sweet squash rather than a display pumpkin for cooking. A pumpkin is really just a squash that is the traditional orange. They are biologically the same thing. Hi Maureen….I have been making pie from the pumpkin meat for years, and I have to share the story of how I made ot for my family for the first time. They were expecting the canned version and when it was served, there was not a peep from anyone around the table. I never asked how they liked it, and they never said anything. About a week passed and it was my sister who had the courage to call me to tell me never to make it from scratch again. No one liked the consistency. The crust was fine and the spiciness of the mix was as well, but all of them could tell the difference in the mouth feel..
Hi Chef! Great to see you here…thanks for the fun story too! This is due to using a display pumpkin which is stringy and not a canning pumpkin. But I’ve looked and can’t find a source for home gardeners to buy canning pumpkins which are bred to have smooth meat. I will continue to look and post here if I find a source.